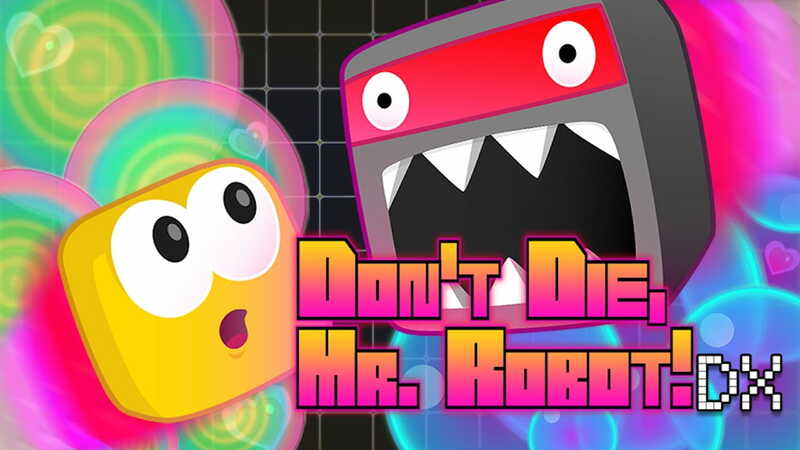 Digerati and Infinite State Games have announced that Don’t Die, Mr. Robot! DX will release on Nintendo Switch next week, a remixed version of the much-loved arcade bullet-hell avoid ’em up. Deep in the electro-abyss lives a little robot who loves to eat exploding fruit. He also likes staying alive. And, that’s where you come in… Get the fruit. Avoid the enemies. Try not to die. Now remastered and rejuvenated for Nintendo Switch with “hyper-sparkly visuals and a selection of all-new seriously squelchy acid tunes,” you must trigger chains of exploding fruit to amass multipliers and score big. There are three modes to play, including Remix Mode that will test your reactions and skill in 50 unique missions, the never-ending Arcade Mode, Chill Out Mode in which everything is slowed down, and Time Attack, where dying costs you time and points as you race against the clock. Don’t Die, Mr. Robot! DX will release on the Nintendo eShop for Nintendo Switch worldwide on May 3rd.